PowerPoint Designer delivers high quality customized presentations by providing design options that help you maximize the visual impact of your presentation, in two easy steps. Add an image and pick your favorite, that’s it. Morph makes it easy to create fluid motion with little to no effort, bringing your vision to life. Simply duplicate the slides you want morphed together, move the objects based on how you want them animated, and click Morph. Zoom brings your presentations to life with an interactive summary slide that makes navigating through your presentation easy and fun. Zoom in and out of sections or slides within your presentations, in any order your audience takes you, from a single slide. 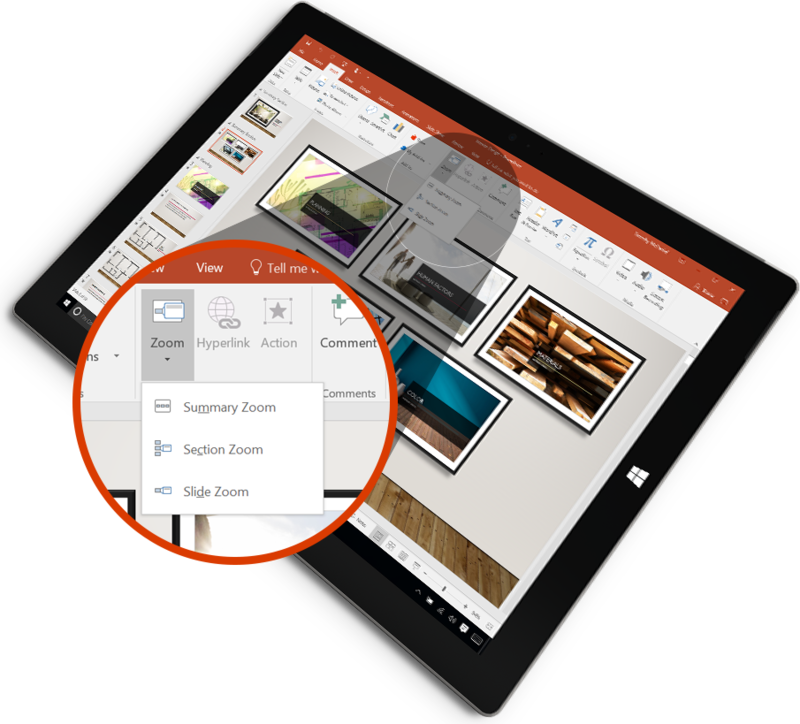 Use Presenter View in Office 2016 review and rehearse your presentations. When you project your presentation to a second screen, Presenter View displays your current slide, speaker notes, and the next slide in your deck.